It had to happen. TiVo makes it just too damn easy to skip over commercials, so now ABC is on the warpath, trying to persuade personal video recorder (PVR) manufacturers to add a "feature" that disables the ability to fast forward a digital video recording. ABC President of Advertising Sales Mike Shaw thinks this will not be a big deal for consumers, instantly revealing to all the world that he is a clueless moron. Just how Shaw thinks he's going to get PVR manufacturers to cooperate with this "request" is not revealed, but we're certain there must be some serious arm-twisting going on behind the scenes. 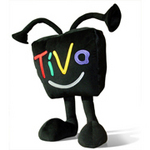 In the meantime, TiVo users, you're probably aware that the following key combination will activate a hidden, semi-secret easter egg, a 30-second skip function: Select Play Select 3 0 Select. For a 60-second skip, just key in Select Play Select 3 0 Select Select Play Select 6 0 Select. Just trying to be helpful. Anyway, killing ad skipping? Let's just see them try. The bastards! There would be a revolt, no question.